The relationship of South African former Public Protector Thuli Madonsela with her daughter is a perfect metaphor for the state of the country's politics. Screen shot from Whispering Truth to Power. Thuli Madonsela was South Africa’s Public Protector between 2009 and 2016. She became well known within the county and beyond as a result of her report into the enormous government expenditure related to then-President Jacob Zuma’s private home in Nkandla. (He had improperly spent US$23 million to upgrade the house.) Her subsequent battles with Zuma over the effects of her findings against him earned her the reputation of being David to the ruling party’s Goliath. 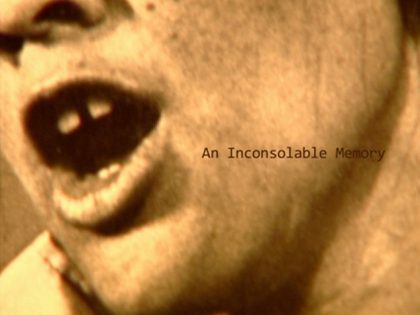 Whispering Truth to Power is a documentary film written and directed by South African cinematographer, Shameela Seedat. It tells the story of Thuli Madonsela’s final year in office. On the surface, the film is a straightforward story about the woman many South Africans came to know as a quiet heroine. Yet it is some senses much more than this. Whispering Truth to Power also documents Madonsela’s family’s journey through public and private life. In so doing, it tells a deeply personal and political story about freedom, democracy and the battle over the meaning of the South African constitution through the eyes of two generations of black South Africans. The family that is used for this examination happens to be headed by a strong, disciplined and highly successful single mother. Ms Madonsela is the mother to two children, Wantu, and Wenzile. Like their mother, her son and her daughter are members of a privileged political elite. Simply in the choice of subject matter then, and in the decision to explore both the political and the personal, the film confirms and upends stereotypes about single motherhood, family structure, privilege and social power. Madonsela is cast as both a fearless protagonist in the fight against state corruption, and as the impatient parent of a testy and at times entitled child who also happens to be a member of the Economic Freedom Fighters (EFF). The latter is South Africa’s third largest parliamentary party, which built a reputation disrupting Zuma’s parliamentary appearances. Just as the ANC moulded Madonsela, the EFF is now shaping her daughter. The film confirms that real life imitates art. Fiction is unnecessary when reality offers its own exquisite dramas. South Africa always shows off on camera. Seedat’s shots of the impossibly blue sky and the perfectly placed neighborhoods around the Public Protector’s office compound are in stark contrast to the grubbiness of the events the film describes. Seedat does well to capture the seeming calm of a planned society where disorder erupts around the edges; where dust rises when motorcades stop in communities full of disappointed and anxious black faces. Seedat’s camera tells us this is a country where peace is precarious and justice is elusive. When the film begins the Public Protector has a year left in office and many obstacles to face before her time is up. She needs to finalize a new report that looks into President Zuma’s affairs, which will be just as explosive as the Nkandla analysis. This report will focus on the ties between the Zuma and Gupta families, and allegations that the Gupta’s have used their influence to hire and fire senior members of the presidential cabinet. This includes an attempt to install a minister of finance who was on their payroll. As Madonsela goes about her business in her final few months in office, she and her staff are worried that if they are unable to finish the state capture report it may never see the light of day. As she works to deal with her backlog of outstanding cases, it is obvious that Madonsela will not be replaced by a strong and independent expert. The ruling African National Congress will not make the same mistake twice. This knowledge hangs like a sword over the events in the film. In its first third, the film gets its momentum from the fact that Madonsela is racing to preserve the gains she has won for the nation, as well as to protect the state capture report investigation, her final effort. 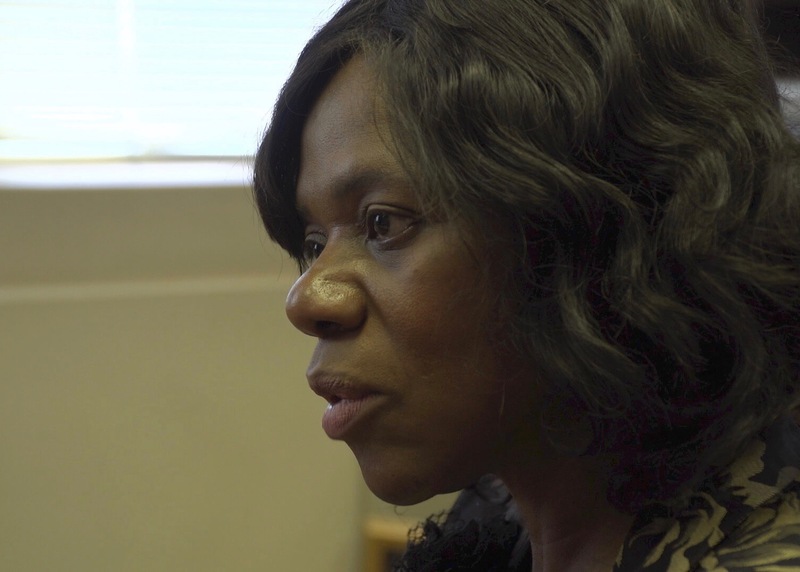 The film flips back and forth between two key aspects of Madonsela’s work. On the one hand there is the pursuit of senior politicians—the president in the main. The legal battles and the political drama around his performances in parliament make for compelling watching. At the same time, the film follows the case involving the Bapo bo Mohale community and the theft of half a billion Rand from their coffers. The Bapo Bo Mogale are a community in the North West province, who were recipients of royalties from Lonmin, the mining company which was at the center of the Marikana massacre. In 2014, members of the community asked the Public Protector to investigate discrepancies in the amount of money in the account that was established to receive the royalties from the company. The resources were supposed to be used for their benefit. Later in the film there is a scene in which the community confronts the Public Protector. Why, they wonder, is the process so slow when it comes to their case? Is it that their issues are less important because they are seen as local? The question contains an accusation. The truth of course is less about Madonsela than it is about Zuma. The consequence of his political maneuvering was that he was able to distract Madonsela, forcing her to spend her valuable time defending herself, tying her up in protracted legal battles, rather than devoting herself to the many injustices that prevail across the country. It was Zuma the community should have been angry with—not Madonsela. Gracious and quiet as ever, Madonsela takes the heat. The film really finds its rhythm when it begins to examine the relationship between Madonsela and her daughter Wenzile. Wenzile is a born-free. She attends the University of Pretoria and is a member of the EFF’s student structures. She is outspoken, impatient and stubborn. In many ways, mother and daughter mirror one another. There is tremendous love between them, and there are of course, raging tensions. Although the presence of the camera keeps both of them relatively restrained it is impossible to ignore their tensions. This aspect of the film comes as a surprise and it is all the more enjoyable as a result. While it starts out as a film about accountability and governance, it turns into a story about the country South Africa is becoming. In the relationship between the Madonsela women we see an intergenerational conflict that is steeped in love and doused in bitterness. We see a country in which rancor sits side by side with sweet hope. At a practical level, Thuli Madonsela’s commitment to the South African constitution gives her personal power. Her belief in the constitution has literally given her the capacity to speak to the nation and to be respected by citizens in a way few African women are afforded an opportunity to do. In this way, she is a stand-in for middle class black South African women. At the same time of course, Madonsela’s belief in the Constitution serves as a proxy for the beliefs of many middle class South Africans of all races. The Bill of Rights in the South African constitution protects those who can (and have) read it. It affords them legal recourse and imbues them with the dignity of knowing when their rights have been violated. The women and men who wrote the Constitution wanted it to be the case that access to the powerful discourse of rights would be more important than access to the courts. In other words, they had hoped that knowing your rights and being able to articulate them would inoculate you. Armed with the law, South Africans would be able to avoid and pre-empt the violation of their rights. For people in Madonsela’s generation, the Constitution provides a framework for leaving the Apartheid past behind them and charting a new future, a future in which citizens are vested with individual rights. Wenzile clearly does not see the world in the same terms as her mother. While Thuli is trying to move forward, in spite of the past, Wenzile reaches back into the past as the basis for her anger. The future then, cannot be clean. All is not forgiven and the Constitution does not remake the nation, nor does it provide cover to the poor people it ostensibly seeks to help. 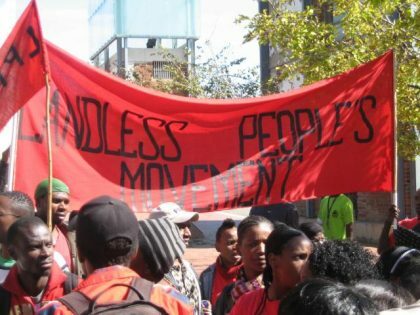 For Wenzile, the Constitution means little if it cannot provide access to land for black people, and if it cannot put an end to systemic racism and white supremacy. Both Madonsela women’s views are well-rehearsed. These debates pre-date the establishment of the new South Africa. Indeed, the limits of the law, even the most progressive law, are well known. The law is by its very nature an elite instrument. In line with this, in recent years the supreme law of the land—the constitution—has come to be seen as a tool of the privileged minority. This is a complete reversal in perception from the way the Constitution was discussed in the first ten years of the democratic project. The Constitution was touted as a tool for liberating the masses—a document that finally gave black people the equality they were denied under Apartheid. 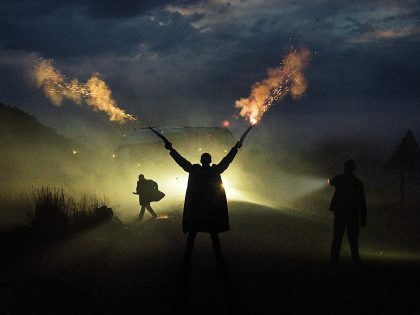 It is in the tension between the first view of the constitution and the second view, between Thuli’s version and Wenzile’s version, that the film finds its steadily beating heart. It is not lost on the viewer that Madonsela’s children tag along to numerous events with her. Watu has a preference for dating white. He admits this in a hilarious but troubling scene. He is affable and smart and happy to cruise along, representing the somewhat apolitical middle class black youth who have benefitted from their parent’s economic gains. Wantu stays close to his mother because he loves her and enjoys her company. Still, there is no question that the dinners and cocktails where he joins her provide excellent networking opportunities. Wenzile on the other hand is more conflicted about her place at her mother’s side. She dresses up and helps to powder her mum’s face in the endless wardrobe changes required by her position as she moved from one good-bye party to the next. Through it all, it is difficult to ignore the fact that Wenzile belongs to a privileged minority in this country. When she sits in the back of the car alongside her mother, chatting as their expensive government car makes its way through the streets, she looks like any other well-raised beneficiary of the 1994 class project. Like others in her cohort of course, she is more complex than this picture allows. Those looking into the car at the traffic lights will have no way of knowing that the young woman in the back has just fought with her mother, citing the Constitution to defend herself. They will have no idea that she is clutching her EFF beret. After the hobnobbing she had plans that involve donning the fiery accessory. I didn’t know whether to grin or grimace as I watched the scene in which Wenzile told her mother she was bringing the beret to her dinner party because the Constitution gave her the right to associate with anyone she pleased. Wenzile respects her mother but throughout the film it is obvious that she is biting her tongue. She has little time for her politics. She has bigger questions on her mid. She is occupied with race and land and decolonizing Azania. The same dynamic is true for the elder Madonsela. Thuli respects her child’s political passion but she doesn’t have much patience for her rhetoric and her views about race and racism. As the film ends, Madonsela’s last day has arrived. Her work is clearly not finished and she does not hand in her final State Capture report on the Guptas. Still, her time is up and so she must let go. We do not see a resolution to the tension that has escalated between the Public Protector and her daughter. Seedat is wise not to try to wrap it up neatly. Their relationship—with all its contradictions and tensions, is perhaps a perfect metaphor for the state of South Africa. We are at once full of love, and bursting with rage, unable to let go of the past, and dying to be rid of it. Their’s is a story that is still unfolding—much like the story of South Africa’s freedom fighters and their children. In the end then, Whispering Truth to Power is like all good stories: it is most poignant in the places where it is most restrained. Where do these debates about the place of coloureds and Indians in South Africa come from? Land reform dominates public debate in South Africa. But it comes with a lack of data and a clear policy.